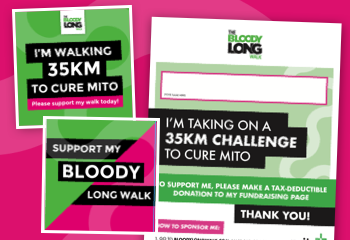 Once you sign up for The Bloody Long Walk, you'll reach fundraising milestones along your journey and be rewarded for your efforts to cure mito! Raise $10 and you will receive a free Bloody Long Walk drink bottle, which you can pick up at the check-in tents on event day. 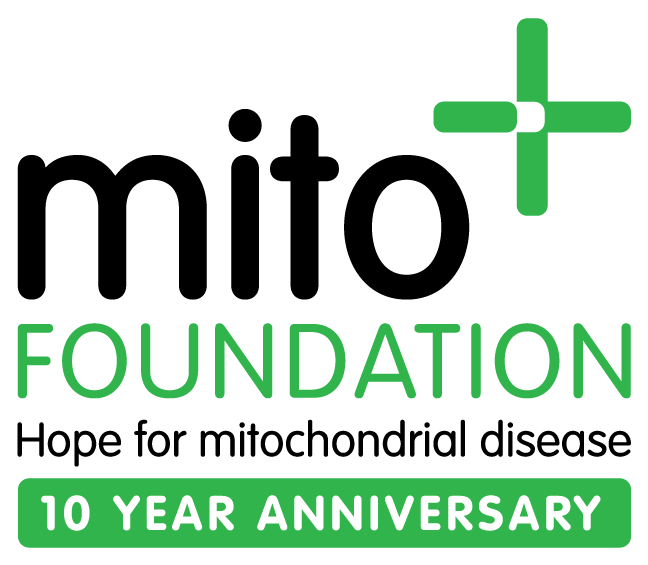 This is a special offer to mark the 10th anniversary of the Mito Foundation and to reward your fundraising efforts. 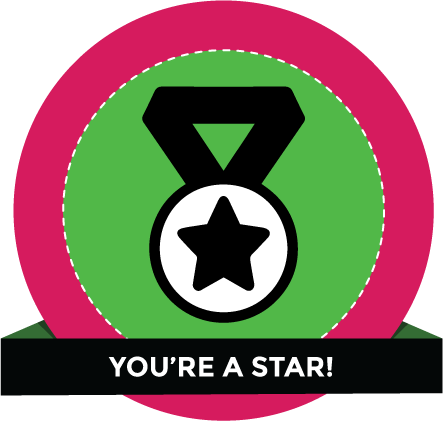 Raise $35 to reach official "STAR status" and you'll receive a free Bloody Long Walk cap to wear on the day. You'll look bloody fantastic along the course as a member of the Mito Movement to support Australians living with mitochondrial disease. 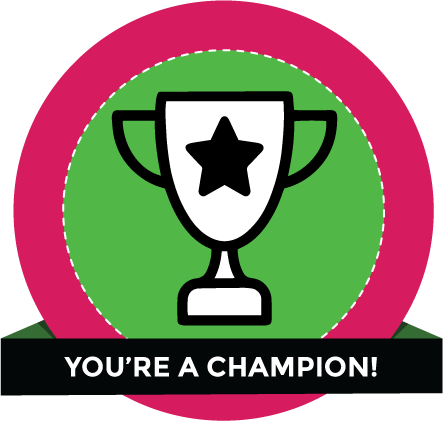 Raise $150 to reach official "CHAMPION Status" and you'll go in the draw to WIN a $2,000 Travel Voucher! Start planning your dream holiday for some, sun, surf, snow...it's your choice! 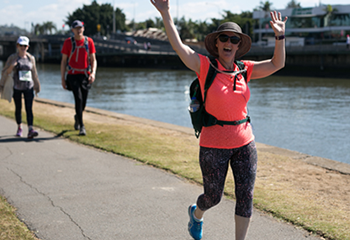 Raise $350 to reach official "HERO Status" and you'll go in the draw to WIN a Life's an Adventure 3-day trek to the Bay of Fires AND receive an official Bloody Long Walk certificate of appreciation. 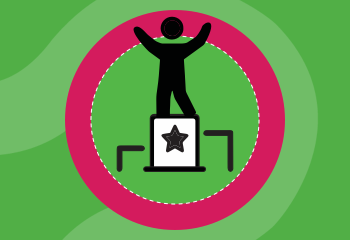 Plus, you'll get an additional entry for every $100 you raise. 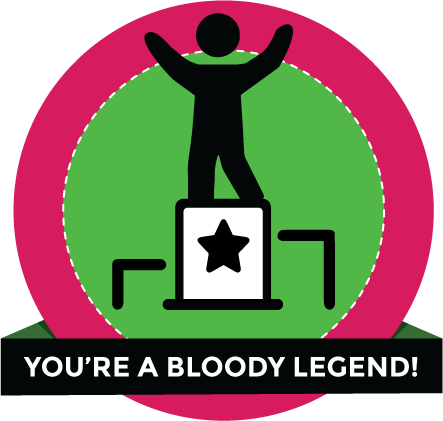 Raise $1,000 to reach official "BLOODY LEGEND Status" and receive free entry into a Bloody Long Walk of your choice next year. 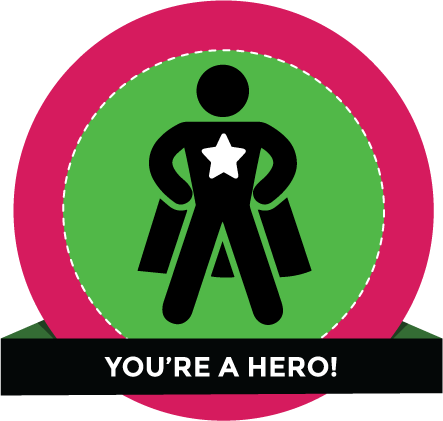 And you’ll be making a huge impact for Australians living with mitochondrial disease…awesome.